I promise to get better at updating this quicker so anyone who wants to know what I'm doing will not be confused. So here we go. I am now writing for Variety. Yes, *that* Variety. I am honored to join a team that includes Scott Foundas, Peter Debruge, and Justin Chang leading the charge, among many others. 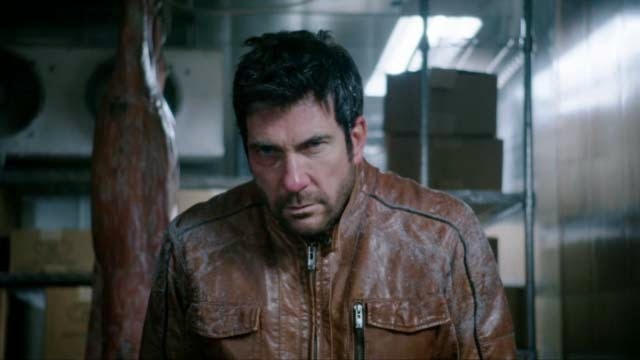 I'll have a few reviews in the month of February, but for now my first piece is on Freezer, a not so good movie about Dylan McDermott trapped in a freezer. Gotta start somewhere. Were you looking for my Top 10 films of 2013? I talked about my choices with Keith Uhlich on The Cinephiliacs, which you can listen to both Part 1 and Part 2. My choices also come in a list-handy form on Letterboxd. Thief came out on Blu-Ray via The Cirterion Collection, so I wrote about how Thief is still pretty awesome over at The Film Stage. I also edited this fantastic conversation on the film between Jordan Cronk and Nick Usen at To Be Cont'd. Jean-Claude Van Damme re-teamed with Peter Hyams for Enemies Closer. Could have been better, but not the worst way to spend January at the movies. I reviewed over at In Review Online. On The Cinephiliacs: Noah Isenberg, the author of the recent biography on Edgar Ulmer, and former Film Society of Lincoln Center slash New York Film Festival programmer Richard Pena. Both are excellent listens. On Letterboxd...The Wolf of Wall Street, Dangerous Game, Chaplin's A Day's Pleasure, Herzog's Nosferatu the Vampyre, Howard Hawks's Red Line 7000 and The Big Sky, Cukor's The Women, Wellman's Lady of Burlesque, The Freshman starring Harold Lloyd, The Color Wheel, Shanghai Express, Hong Sang-Soo's In Another Country, Arthur Penn's The Chase, The Typhoon with Sessue Hayakawa, Aldrich's Emperor of the North, and Minnelli's Gigi. I finished my graduate degree. More TK on what follows. No list of cinematic discoveries for 2013?